Shall I taste Cakebread or Grgich Hills? Shall I drive up north to Calistoga, or am I better off heading west into Sonoma? Do I want to try some of the bigger and better-known wineries or search for hidden gems off the beaten track? Meadowood is an oasis of serenity in the well-touristed Napa Valley wine country. If you've been to Napa Valley, you've probably wrestled with similar questions. If you haven't, trust me: There's so much to do, so many wineries to see and places to visit, that setting an itinerary can be a daunting task - even more so if you're a golf lover. With your days already jam-packed, how and where do you fit in a relaxing round? The answer isn't always a popular one in the golf community, but in this context it makes perfect sense: Play a nine -hole golf course. Meadowood Napa Valley offers a perfect short-round retreat. 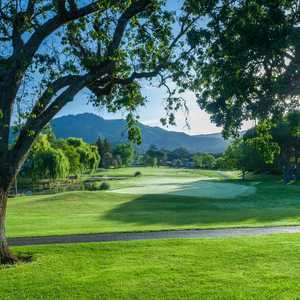 Nestled just off the Silverado Trail in seemingly undiscovered country, this resort is an outstanding location for golf and R&R. The nine-hole on-site golf course is relatively short (no par 5s) but plenty challenging thanks to the narrow fairways and well-placed (and well-manicured) greens. The second hole is the toughest play, with two ponds along the 177 yards to the flag. Perhaps the best thing about Meadowood is that it is incredibly peaceful and quiet. Even during Napa's busy season you'll rarely find it crowded. 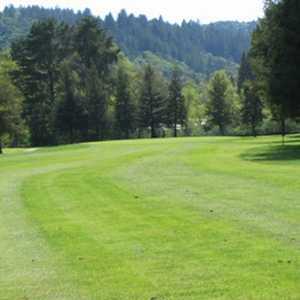 The course emphasizes golf tradition, with no carts allowed. Players really looking to turn back the clock can rent authentic hickory-shaft clubs and replica gutty golf balls for a taste of turn-of-the-20th-century golf. Walking the course at Meadowood, the only sound you hear is the wind rustling the tops of the tall trees and bottoms of the nearby vines. No cart motors, no players screaming "Fore!" 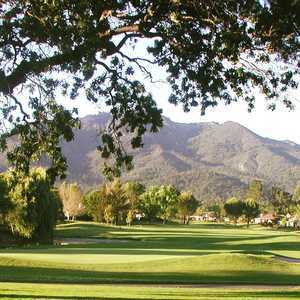 - just you and the tranquility of the stunning Napa Valley surroundings. The essence of Napa is tasting, be from small glasses of cabernet at the many wineries or small portions of gourmet cuisine at the acclaimed French Laundry. People come here to try new and different things. Meadowood offers a taste of something old and, these days, different - traditional golf that is unhurried and serene. The course is private but is open to guests of the Meadowood resort and the nearby Inn at Southbridge. Green fees are $45 for all-day use.